With the Git1 camera the manufacturer GitUp has proven that they build excellent action cameras. Now with the Git2 comes a newer model offering a 16MP Sony Exmor sensor (same one used in Yi Action Camera). 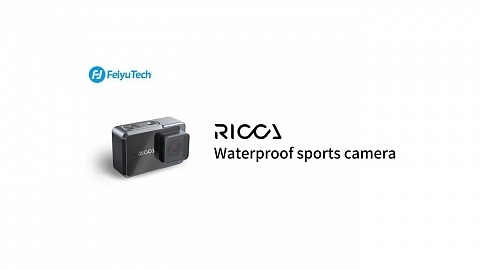 Additionally the camera features Gyro Image Stabilization, G-Sensor and many other features and settings. The Git2 also comes with an underwater case, LCD screen and several mounts. When adding that to the Yi camera, you’ll end up with a higher price – so this cam might me a better and cheaper solution! The IMX206 has a sensitivity of 1096digits. The chip will be a Novatek 96660 chip, same one as used in the SJ5000X Elite. Detailed info on resolutions in the review below. The camera features a 1,5″ live view display, a little smaller than comparable models with offer 2″. The camera offers wifi for a wireless remote (optional accessory – 10 USD) and remote via iOS or Android App. 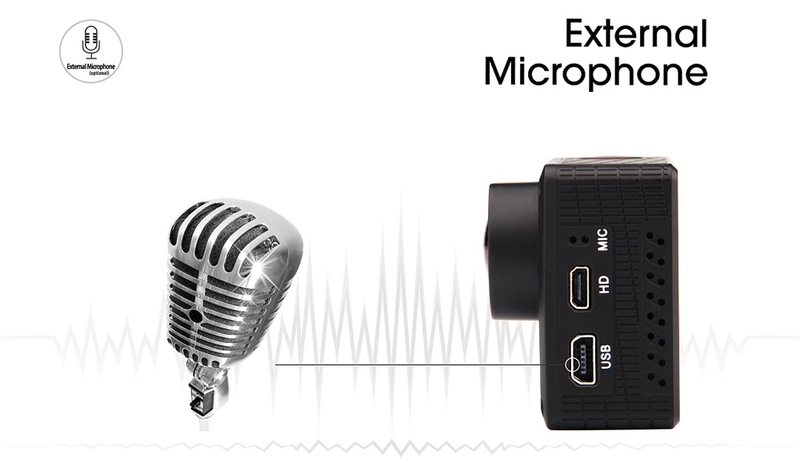 A miniUSB port for charging, mic input (optional microphone – 8USD) & A/V output and a microHDMI port for HD video output. That is exactly the same size as a GoPro and also the button arrangement is the same, which means you can use every GoPro gear with the Git2! The Gyro Image Stabilization will be a mechanical solution stabilizing the sensor and therefore the video. Git2 is available as Git2 and Git2 Pro Packing. Pro Packing includes the accessories listed a little later in that article. Color: End of 2016 GitUp released different colored front panels for their camera. This way you can customize your camera. They are available in: Orange, Blue, Gold & Silver. GitUp released two new versions of Git2: the Git2P. Be careful, both cameras bear the same name; Git2P indicates the new Panasonic sensor being used. Whereas Git2 uses a 16MP Sony IMX206 sensor (same as in YI Action Camera), both new Git2P models hold a 16 MP Panasonic MN34120PA sensor. This Panasonic sensor is also used in the latest SJCAM SJ6 Legend. Sony and Panasonic sensor have the same max. pixel resolution. From what I heard the Panasonic sensor seems to work better with the Novatek chipset. The two versions of Git2P have different lenses. There’s a 90° FOV (field of view) and a 170° FOV lens available. Git2P 90° features a f/2.5, 5G2P Lens with 90° FOV (Field of view). So the camera also benefits from a larger aperture compared to f/2.8 aperture in the 170° models. The new narrower FOV lens prevents the fisheye effect and distortion. The Git2P with 170° lens also has a f/2.8 170° FOV lens, same as Git2 with the Sony sensor. The other specs are the same for all Git2/Git2P cameras. Attention! Git2P 90° does not fit into the Git2 / Git2P 170 underwater case as the lens is a little larger! Here are some comparison photos of Git2, with 170° lens on the left, and Git2P, with 90° lens on the right. Photos are from Marco, check out his YouTube Channel, there are also some test videos with Git2P. Gearbest & Banggood also ship from their US & EU Warehouses, where the camera is already customs cleared. Prices are therefore a little higher. On the front side of the Git2 there is the power / mode switch button as well as 2 status LEDs which indicate if you are in video mode (red) or photo mode (green). The camera’s upper side holds the shutter button, which also acts as select button in the camera’s menu, and a LED which flashes when recording. On one side you’ll find the microSD card slot and a button. This button turns on and off wifi when you press it for more than 3 sec. The LED above indicates if wifi is enabled. When you short press the button you enter the menu – when in video mode the video menu, when in photo mode the photo menu. You can remote control the cam with an iOS or Android app or with an optional remote control. On the other side, you’ll find the internal microphone, micro HDMI port for HD video output as well as the mini USB port for an optional external microphone input, A/V output and charging. 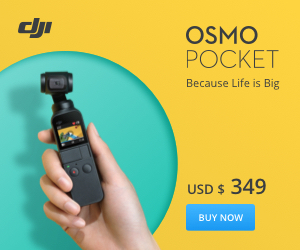 On the backside of the camera there’s the 1,5″ LCD display, and a LED which flashes during recording. On the bottom there’s the battery door. The Git2 comes with a 950 mAh battery, and has the same shape as the SJCAM batteries. They have just 900 mAh but you can use them as well. The Git2 is available in 2 packages: Standard Packaging is just the camera with USB cable; the Pro Packaging additionally includes: a 30m underwater case, frame mount, roll bar mount (which has 1 long and 2 short screws), curved and flat adhesive mount, additional long and short screw, long & short connector with 90° angle, tripod mount and 1/4″ screw adapter. The mount on the bottom of the underwater case is standard GoPro mount and fits similar mounts and accessories. The remote control is an optional accessory which lets you start/stop recording video and take pictures. You can power off the camera, but not power it on! Even tough the batteries of the Git2 are very good, additional batteries are highly recommended, as all action cameras use lots of battery. The Git2 has the same size, button & port layout as the GoPro Hero 3. So basically you can use any GoPro accessory with the Git2, you can find an overview and reviews here. When doing a Review for Yi Action Camera Cases I also tested one from Kingma and found out this one is the best fit for the Git2 camera and its accessories. Remember that the GitUp underwater cases look different than most other brands and won’t fit in every bag! I really like the menu structure and its easy handling which is important as you have lots of options to choose from. The menu reads easily with the 1,5″ screen. When you power up the camera it will start up in video mode. By short pressing the power button, which also acts as mode button, you can cycle through the main menu: video mode – photo mode – library – camera settings. Enter the camera settings by pressing the shutter button, which acts as select button, to enter the sub menu. on / off – When turn on you can start recording by just pressing the shutter button. The camera will power up automatically and start recording. When long pressing the shutter button the camera will power up and start burst shooting. The camera uses the video / photo resolution settings as selected before. To turn on /off beeping when pressing the buttons. To turn on / off information on the display. When you use your Git2 you can turn on this option and the camera will automatically start recording when powered. Which turns off the screen automatically after 1 / 3 / 5 minutes or off. Be sure to enter date & time here when you switch on timestamp. Before you use the optional remote control you have to pair it. Switch on loopt recoding 2 / 3 / 5 / 10 min. and the camera will create video clips in respective length and overwrite them when the microSD card is full. One use case for this option would be using the Git2 as dash cam. You can select mute / low / medium / high depending on the surrounding you are operating in. You can select a time frame 5 / 10 / 20 / 30 / 60 sec. and the camera will record respective time frame. The Git2 has a built-in mechanical gyro for image stabilization which can be turned on & off with this setting. When turned on the camera needs a little more power. When turned on the camera will automatically start recording when there is motion within the picture. This option can be useful if you want to setup your camera but you want it to start when you start your activities. You have to stop recording manually. Similar to motion detection the camera will start recording when the camera detects motion of the camera itself. When doing a photo time-lapse the camera will take several pictures which you have to combine to a video time-lapse in post production. I prefer this option as 16 MP photos have a higher resolution than 4K videos, so you can zoom in and crop in post production. Same as in video mode you can select normal / black & white / sepia / vivid but I suggest doing it on your computer or phone. A great app to edit photos on your phone is snapseed btw. When choosing this option, the camera takes an uncompressed .raw photo instead of a compressed .jpg picture. Lastly the 4th mode in the main menu: Library. You can cycle through your video / photos by using the shutter button. When you press the menu button a sub-menu pops up where your can play / delete / lock / or select slide show. 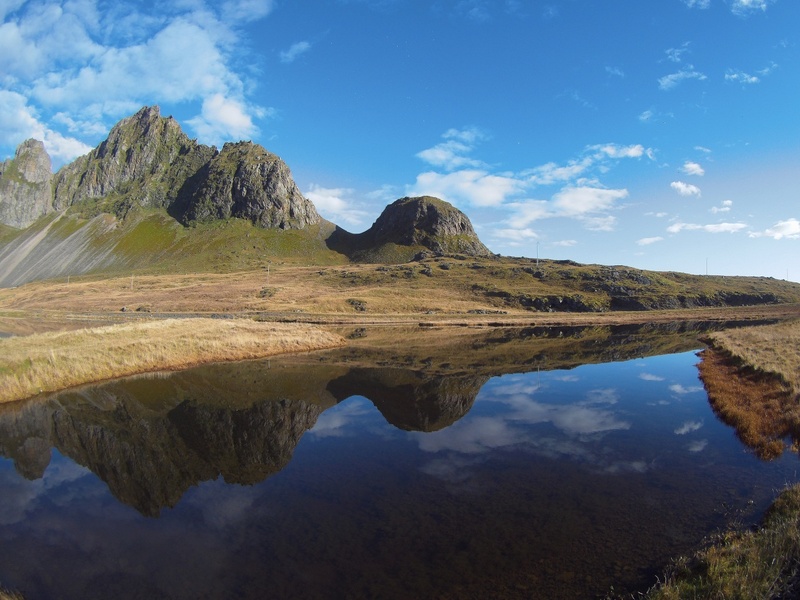 You’ve got two options to remote control your camera: with the optional remote or your smartphone. Before using you remote control you have to pair it with your camera. Go to the system settings of the camera and look for the option RF pairing. When you select this option the display will give you the instruction to press photo & video button at the same time, do so and the remote control is paired. To start recording you have to press the video button / to take a picture you simply press the photo button. You can also turn on wifi by long pressing the wifi button or turn off the camera. It is not possible to turn on the camera! The official GitUp app was launched late 2016 for Android and iOS. Stay tuned, more info is coming up! You have to connect phone and camera via wifi. To do so you have to long press the wifi button on the side of the camera or the remote control. On the left you’ll see a frame grab from the Git2 camera. The field of view is narrower as gyro stabilization was switched on. 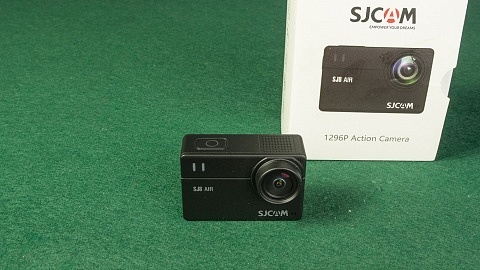 On the left there’s an image from the Yi Action Camera. The Git2 has a bit more saturation whereas the Yi a bit more dynamic range comparing the brighter and darker spots. The following photos is unedited straight out of Git2 camera. The image quality is really great, Git2 features superb sensor and I like the result a lot. Check the demo videos / photos! 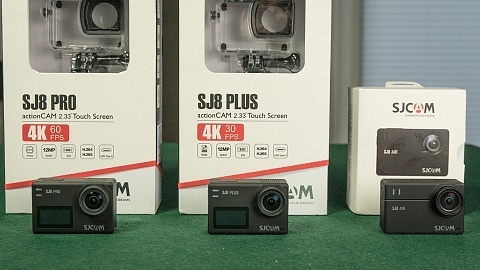 The image stabilization is awesome and works way better than on other action cameras I tested. GitUp is a great company and on its best way to become a strong name in the action camera business. A trusted brand/company is a key factor when buying a camera, when it comes to Firmware updates e.g. I discovered several problems with other cameras where you don’t find / get firmware updates from a trusted source. The menu offers lots of options to fine tune your videos & photos (white balance, ISO, exposure,…) not all action cameras offer such a huge variety of settings. 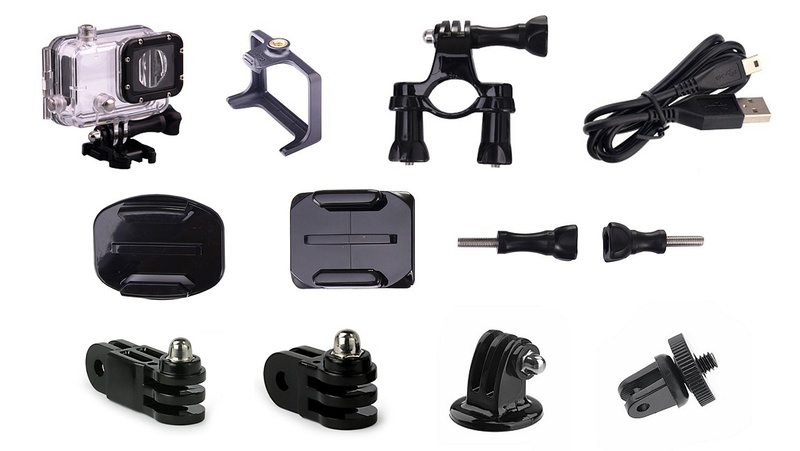 The Git2 is the exact same size as the GoPro Hero3 & 4 and therefore compatible with thousands of accessories. The buttons are also placed on the same spots. Git2 features a 1,5″ screen which is a bit smaller than most comparable cameras that feature a 2″display. Currently there is an option to switch PAL / NTSC, but the frate rates doesn’t change to 25fps. I really like GitUp Git2 Action Camera. Price / Performance Ration of Git2 is great. For about 100 USD you get a solid camera from a company which constantly improves the firmware. You now also have a selection of 90° or 170° lens. If you don’t need 4K resolution, take a look at this camera. Don’t get fooled by other cameras advertised as “4K camera”, some are just interpolating (scaling up) a lower resolution video. You can’t get a real 4K camera for under 100 USD.